Looking for an old car project? With the aftermarket today, there has never been a better time to restore an old Jeep. From WW2 models of the 1940s to the CJ Jeeps of the 1980s, the demand for reproduction parts has generated a cottage industry of aftermarket suppliers. 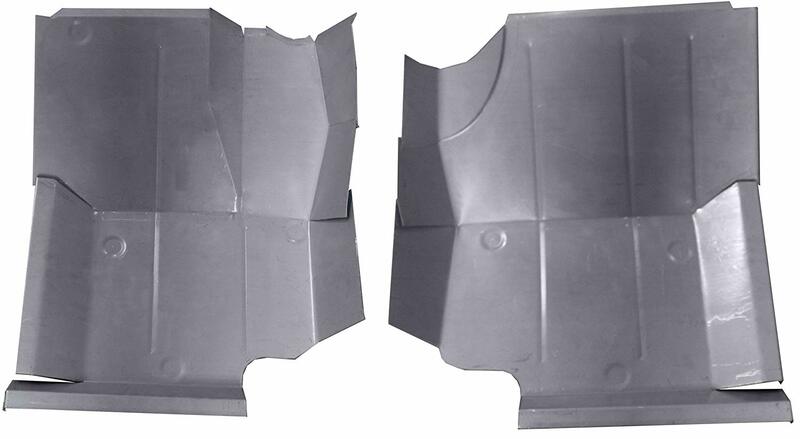 Body parts such as hoods, windshield frames, tailgates, front fenders, front grille, and dash panels are all available. You can even by a genuine factory-approved replacement Jeep body. Loved by both collectors and enthusiasts alike, the first post-WW2 Jeeps are simple to work on and make great restoration projects. Remember that these early Jeeps have an short 80" wheelbase, so they wouldn't be a first choice for a street-driven vehicle. They also have low (high numerically) axle gearing. However, they are a good choice for modified off-road use. 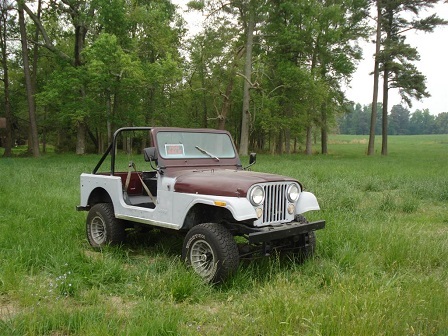 The CJ7 was longer and wider than the CJ5, and was built simultaneously from 1976-1983 (CJ5 production ended after 1983). The larger CJ7 has better overall handling and better driver/passenger comfort. Both CJ5 and CJ7 Jeeps were prone to undercarriage and body rust, so look carefully at the frame, brackets and body parts. The Wrangler was sold from 1986 through 1995 and had a wider track, angled grille, and square headlights. Trim levels included the Laredo, Islander, Sport, Sahara, Renegade and Rio Grande. The Wrangler shared few parts with CJ series. Unless you're willing to pay shipping charges or travel out-of-state, find a Jeep project that's in your area. Look carefully for frame and body rot - repairing or replacing rusty metal could get costly. If you have a choice of two Jeep projects to choose from, pick the one with the better frame, running or not, with or without a body. The frame is the most important part. Beware of old hunting or farm Jeeps for sale. These have usually spent all their life outdoors and were certainly neglected. Jeep frames have been known to crack around the steering box and suspension mounts. Correctly-done repairs by a competent welder are acceptable. Also check the front and rear cross-members and spring hangers. These can usually be repaired, but if not, complete replacement frames are available. Depending on the shape of the rest of the vehicle, you may want to remove the body from the frame, strip the frame down to bare metal, and paint or powder-coat it. You can even buy replacement Jeep frames. Replacement body parts are available if needed, although availability isn't the same for all years. With the exception of doors and fenders, proper welding techniques are required to repair body panels correctly. Having a shop manual that covers your year and model is invaluable. You'll end up referring to it over and over again. If your Jeep body is unusable because of rust or collision damage, new OEM Jeep replacement steel body tubs are available. Due to their large size and weight, shipping and handling charges may be significant. The three main advantages of a fiberglass body tub is that they're lightweight, they don't rust, and are less expensive than steel ones. They are usually produced with embedded steel plates in them to reinforce areas where the windshield, seats, and the steering column attach. 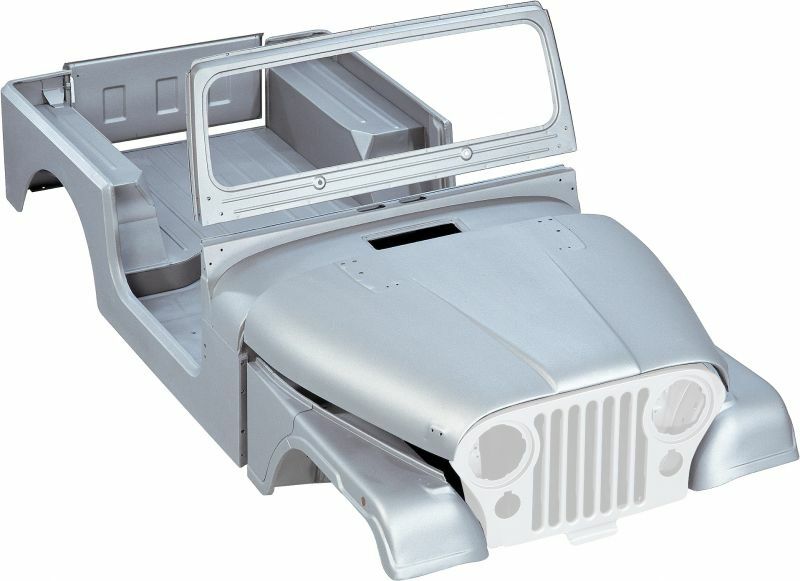 If you're building a vintage Jeep for off-roading and not concerned about originality, a fiberglass "repli-tub" is a good choice. Remember to test-fit the tub on the frame before bolting it down. Since they are shipped without holes, check and double-check that the holes are drilled properly and are aligned correctly. 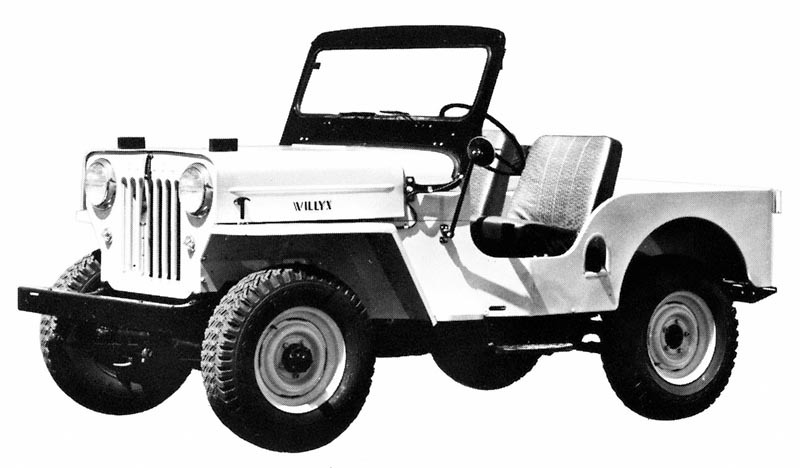 The Willys Hurricane-4 engine was the only Jeep motor available until 1966. Known as the F-Head motor, the "F" represented the valve configuration: the exhaust valves were in the block, and intake valves were in the cylinder head. This allowed the intake valves to be larger. Using a bore and stroke ratio of 3.125" x 4.375", the L-Head engine displaced 134 cubic-inches and produced 60-horsepower and 105 pound-feet of torque, A raise of compression in the fifties increased power output to 70-horsepower. Producing nearly double the horsepower of the Hurricane-4 engine, the Buick-designed "Dauntless V-6" was offered in the mid sixties. The engine produced 155 horsepower at 4000 rpm. Net torque was 235 at 2400 rpm. The engine's firing order, 1-6-5-4-3-2, is known as the "odd-fire" pattern. A heavier flywheel was used to increase torque, and also help dampen vibrations of the odd-fire design. The compact V6 configuration fit well into the tight Jeep engine compartment. The AMC straight-six engine was used in a variety of AMC passenger and Jeep utility vehicles. The cast-iron block featured seven main bearings and was lightweight and durable. The 258ci engine is considered to be one of the best ever produced. After Chrysler's buyout of AMC in 1987, this engine continued in production through 2006. From 1972 through 1981, the 304ci motor was offered as a factory option, with the best performance years being 1972-1978. 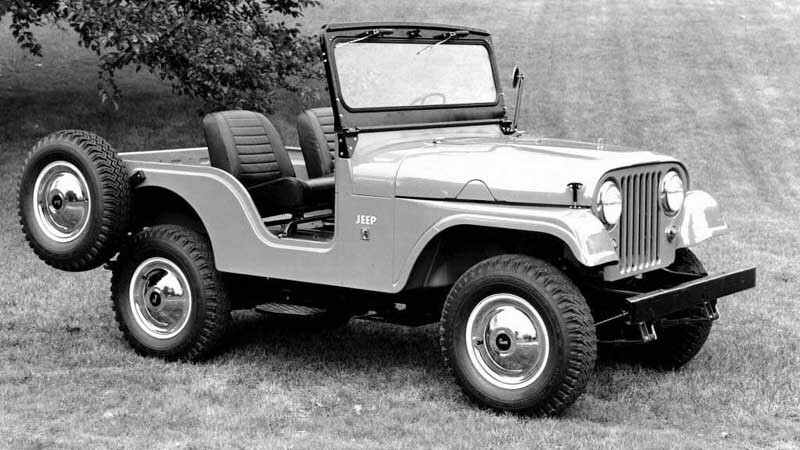 The idea of putting a V8 in a Jeep CJ was not new. Enthusiasts had been doing it for years, and many aftermarket companies offer installation kits to fit a small-block Chevy into a Jeep. Installed in CJ models from 1976 through the mid 1980s, the two-piece axle design of the AMC Model 20 are OK for stock use. 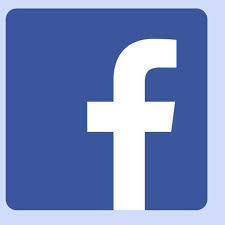 However, you may want to upgrade them to handle any significant performance mods. Many CJ owners replace the two-piece shafts with the stronger one-piece style, or weld the tubes for additional strength. Model 20 axles found in larger Jeep vehicles are sturdier and are a common upgrade. Parts availability for old Jeeps is second to none. Engine parts, brake and suspension parts, soft and hard tops, interior and exterior parts all are easily obtained. There are also plenty of off-road upgrades, such as transfer cases, driveshafts, axles, differential lockers, roll bars, bumpers, skid plates, winches, etc. Back in the seventies, Jeep engineers were struggling to meet mileage and emissions standards. One thing that helped was substituting taller gearing in the axles. Although this reduced engine rpm at highway speeds, it hurt performance. Before you install larger tires, find out what your axle ratios are. The best Jeep to restore is up to you and what you want to do with it. If you a decent everyday driver, consider a 1986-1995 Wrangler. Please note that classic Jeeps restored to original condition (or close to it) consistently sell for more than customized Jeeps. Properly restored Jeeps will always get top dollar when sold. 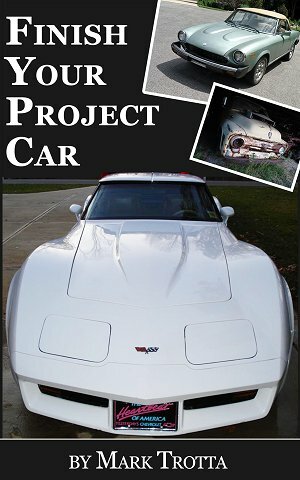 My E-book "Finish Your Project Car" offers practical tips to help you get on track - and keep you on track with your project car or truck. Topics include planning, ordering parts, overcoming obstacles, and staying motivated.